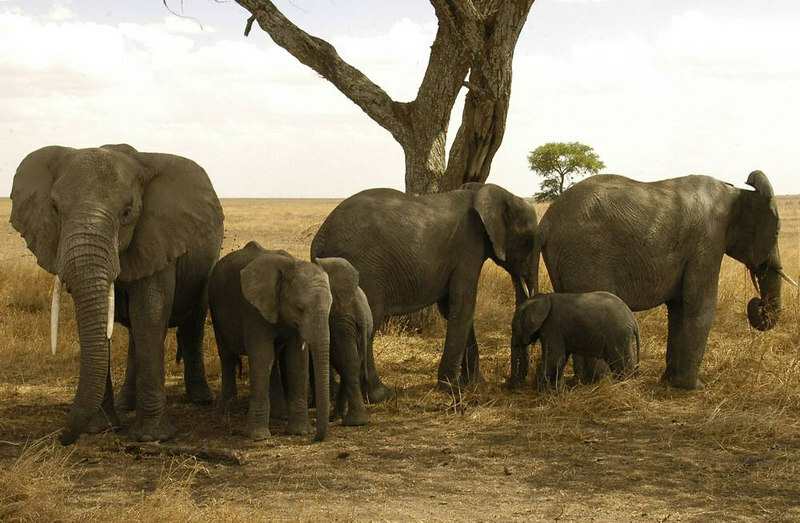 The elephants were one of the primary reasons for our going to Africa in the first place. In the Serengeti they're grey, as most people are used to seeing them, unlike the ones in Tsavo. With edible stuff all around them, and poaching under control, these elephants don't seem to have a care in the world as they constantly wander.